"We actually started working with these tools because we wanted to reduce the number of emails we were dealing with. Now we realize that Confluence and Jira are sending more and more internal emails. What's the best way to reduce this? Should we disconnect from the mail server completely?" At first glance, the answers to these questions seem obvious. Companies are up to their necks in internal emails and they want a system that will alleviate the clutter. The Atlassian systems promise exactly that: to reduce the amount of internal email. However, at the same time, Confluence, Jira & Co. are not exactly squeamish when it comes to sending automated email notifications. It is not about fewer emails, but instead about less work time spent on email. We shouldn't write any email internally any more. And, if we can't avoid that, at least we need to be able to empty our inboxes and reduce the flood of email. In fact, both of these are ideas are misguided. On the one hand, you simply won't be able to avoid email altogether, because the amount of email correspondence is constantly growing. Of course, you could always just select the checkmark next to “all emails”, then on "Delete", and in two seconds your inbox will be empty. But it's not a question about the number of emails in your inbox, it’s a question of the time needed to process them. If you spend three to four hours a day answering emails, it’s unhealthy for many reasons (e.g. productivity, motivation, efficiency, ...). However, if you can process 450 emails in 20 minutes, then your complaints about the pure volume of email you’ve received are irrelevant. Automatic notifications from Jira, Confluence or Linchpin can be filtered, and on hectic days you can simply ignore them. In the meantime, they wait there, perfectly organized. You can even delete these emails without losing anything: everything is backed up in the system. Don’t allow tasks to be distributed or discussed by email. That's what Jira is there for! If an email has an attachment and a customer is not cc'd, the entire content almost certainly belongs in Confluence and not in an email inbox. With these two simple rules you can achieve so much more! If you actually disabled the email server in Confluence or Jira, you cut off an important system notification function. Email is quite suitable for this, and it’s also critical for team-based collaboration. How else are team members supposed to see new discussion comments in Confluence and/or a change of task status in Jira? Notifications from the Atlassian systems form an important central information channel that has nothing to do with the dreaded internal email flood that companies want to understandably avoid. So no, it's not a good idea to disable the mail server in your Confluence or Jira systems. 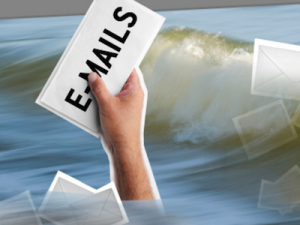 You are still going to have to fight the internal email flood, but you can solve this problem by attacking it from another angle. Are you interested in hearing about the release of new Atlassian systems? Would you like to evaluate tools and test them, risk free? We are an experienced Atlassian Platinum Solution Partner and are happy to support you with all of your Atlassian needs: licensing, customization and the productive use of your Atlassian software. Like what you hear? Contact us today!